While in New York City, we were fortunate to dine at a lot of amazing, Michelin-starred restaurants, but that didn't stop us from indulging in some good, inexpensive comfort food, as we did at Melt Shop. The Maple Bacon Grilled Cheese included NY cheddar and sharp brick spread. 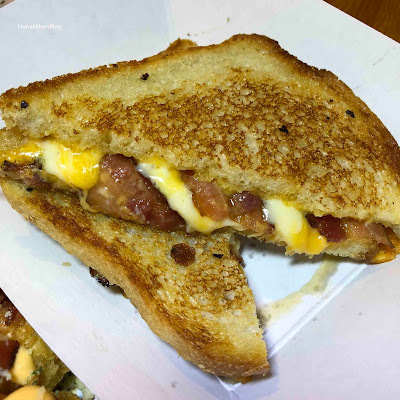 The bacon gave it a little sweetness, and it was yummy, but I do wish the bacon was a bit crisper. 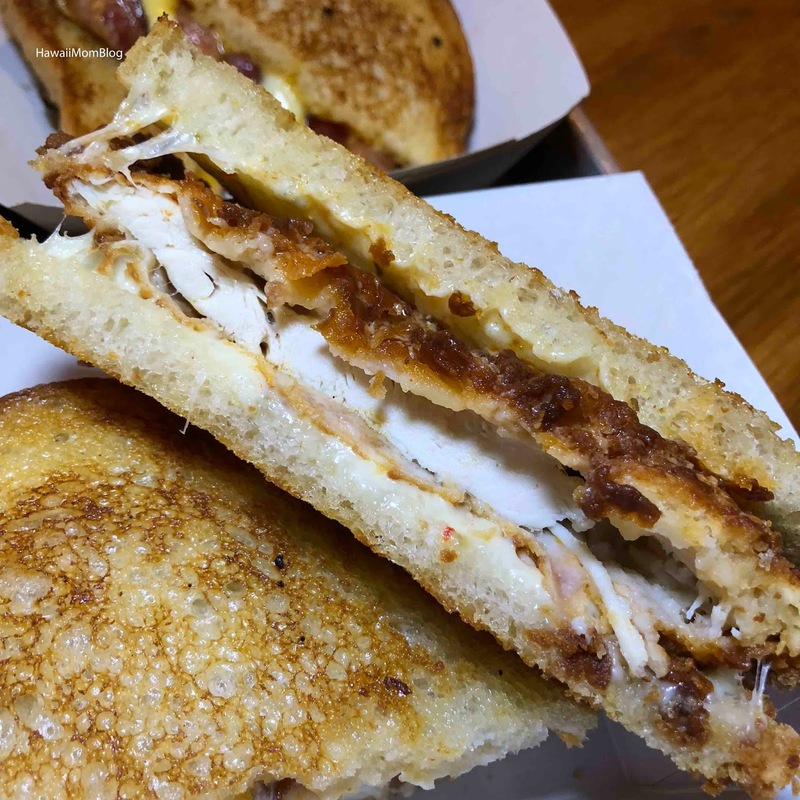 The Buffalo Chicken consisted of a tender piece of fried chicken, pepper jack cheese, and buffalo sauce. It wasn't too spicy, but it was very tasty. 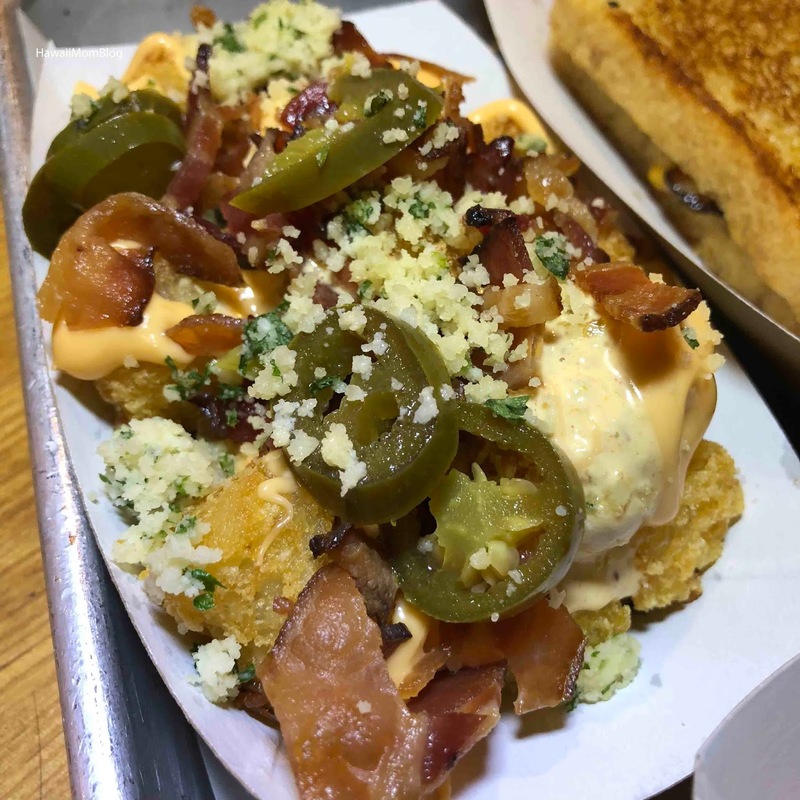 The Loaded Tots were piled high with bacon, jalapenos, herbed parmesan, and a housemade cheese sauce. I could've eaten all the tots myself! 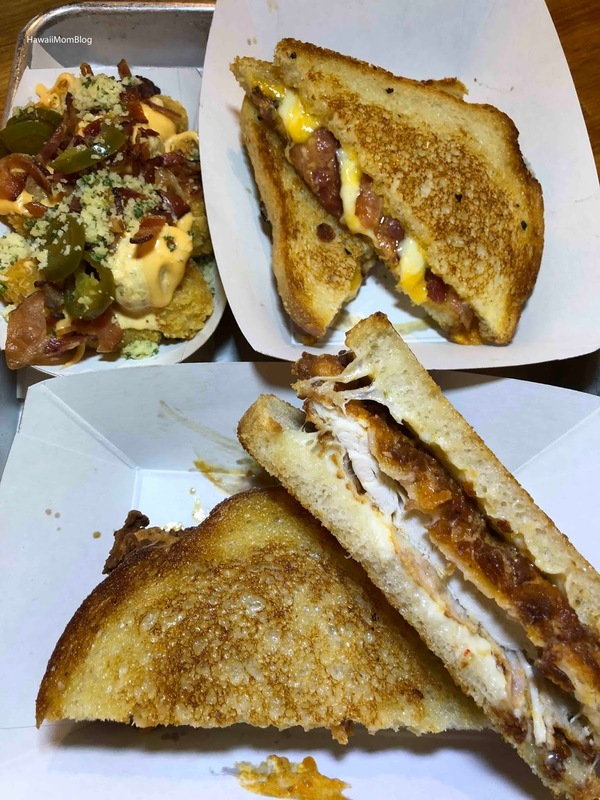 Melt Shop is a great stop for anyone craving comfort food!